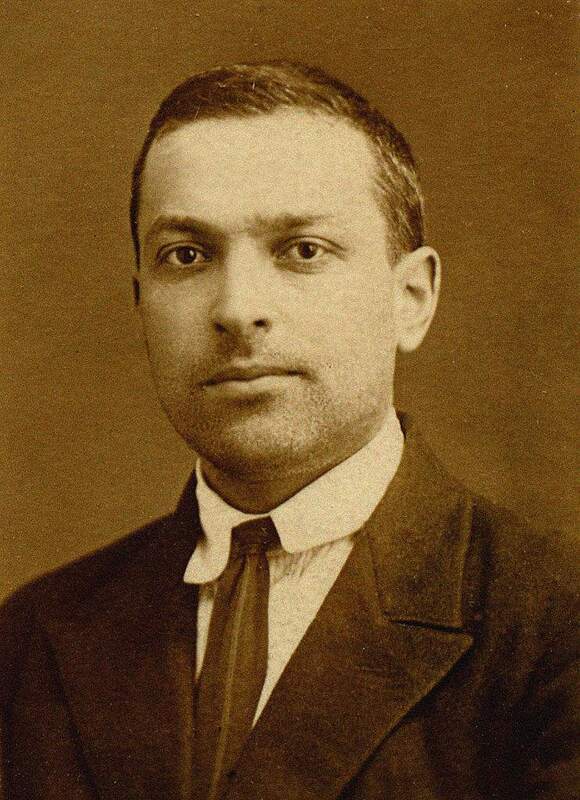 Lev Vygotsky was a seminal Russian psychologist who is best known for his sociocultural theory. He believed that social interaction plays a critical role in children's learning. Through such social interactions, children go through a continuous process of learning. Vygotsky noted, however, that culture profoundly influences this process. Imitation, guided learning, and collaborative learning all play a critical part in his theory. Lev Vygotsky was born November 17, 1896, in Orsha, a city in the western region of the Russian Empire. He attended Moscow State University, where he graduated with a degree in law in 1917. He studied a range of topics while attending university, including sociology, linguistics, psychology, and philosophy. However, his formal work in psychology did not begin until 1924 when he attended the Institute of Psychology in Moscow. He completed a dissertation in 1925 on the psychology of art but was awarded his degree in absentia due to an acute tuberculosis relapse that left him incapacitated for a year. Following his illness, Vygotsky began researching topics such as language, attention, and memory with the help of students including Alexei Leontiev and Alexander Luria. Vygotsky was a prolific writer, publishing six books on psychology topics over a ten-year period. His interests were quite diverse but often centered on issues of child development and education. He also explored such subjects as the psychology of art and language development. Essentially, this zone is the gap between what a child knows and what he does not yet know. The process of acquiring that information requires skills that a child does not yet possess or cannot do independently, but can do with the help of a more knowledgeable other. Parents and teachers can foster learning by providing educational opportunities that lie within a child's zone of proximal development. Kids can also learn a great deal from peers, so teachers can foster this process by pairing less skilled children with more knowledgeable classmates. Vygotsky conceived the more knowledgeable other as a person who has greater knowledge and skills than the learner. In many cases, this individual is an adult such as a parent or teacher. Kids also learn a great deal from their interactions with their peers, and children often pay even greater attention to what their friends and classmates know and are doing than they do to the adults in their life. No matter who serves as the more knowledgeable other, the key is that they provide the needed social instruction with the zone of proximal development when the learner is so sensitive to guidance. Children can observe and imitate or even receive guided instruction to acquire the new knowledge and skills. Lev Vygotsky also suggested that human development results from a dynamic interaction between individuals and society. Through this interaction, children learn gradually and continuously from parents and teachers. This learning, however, can vary from one culture to the next. It's important to note that Vygotsky's theory emphasizes the dynamic nature of this interaction. Society doesn't just impact people; people also affect their society. Vygotsky's life was cut tragically short on June 11, 1934, when he died of tuberculosis at the age of 37. He is considered a formative thinker in psychology, and much of his work is still being discovered and explored today. While he was a contemporary of Skinner, Pavlov, Freud, and Piaget, his work never attained their level of eminence during his lifetime. Part of this was because the Communist Party often criticized his work in Russia, and so his writings were largely inaccessible to the Western world. His premature death at age 37 also contributed to his obscurity. Despite this, his work has continued to grow in influence since his death, particularly in the fields of developmental and educational psychology. It wasn't until the 1970s that Vygotsky's theories became known in the West as new concepts and ideas were introduced in the fields of educational and developmental psychology. Since then, Vygotsky's works have been translated and have become very influential, particularly in the area of education. In a ranking of eminent psychologists, Vygotsky was identified as the 83rd most frequently cited psychologist during the 20th century. Vygotsky did not break down development into a series of predetermined stages as Piaget did. Vygotsky stressed the important role that culture plays, suggesting cultural differences can have a dramatic effect on development. Piaget’s theory suggests that development is largely universal. Piaget’s theory focuses a great deal of attention on peer interaction while Vygotsky’s theory stresses the importance of more knowledgeable adults and peers. Vygotsky’s theory heavily stressed the role that language plays in development, something that Piaget largely ignored. Vygotsky LS. Mind in Society: The Development of Higher Psychological Processes. Cambridge: MA: Harvard University Press; 1978. Vygotsky LS. Thinking and Speech. Minick N, trans. New York: Plenum Press; 1987. If you're interested in reading some of Vygotsky's works, many of his writings are available in full-text format at the Vygotsky Internet Archive. Haggbloom SJ, Warnick JE, Jones VK, et al. The 100 Most Eminent Psychologists of the 20th Century. Review of General Psychology. 2002;6(2):139–152. doi:10.1037/1089-2680.6.2.139. Woolfolk AE. Educational Psychology. 14th edition. Pearson; 2018.